The principal proudly led me through the school to display his classroom of students who were most behind in their grades and who had the most serious discipline problems including numerous suspensions. When he swung open the door what was staring back at me was a classroom of all black students. This happened to be a school that was 67% black, so it wasn’t just that all students in the room were black, for I had seen that before, it was that almost all the students had very dark skin. Why would almost the entire room consist of only very dark skinned blacks? Through all my years as an educator I had either not seen that or I had not noticed it. Not long after that experience my daughter, who occasionally does volunteer work in schools, called to ask why, when volunteering at a particular school, so many of the children were very dark skinned? It was such a difference from what she was used to seeing. The school to which she referred was a high poverty school and a school with a failing state grade. I was an educator in an urban school district for 37 years and as a teacher and a principal I had never seen a classroom where practically all of the African American students were of the same dark hue. The chance of all students being the same color seemed much too odd. These pictures have stayed with me, for as African Americans, we are the full range in color. A couple of years later, while these pictures were still in my head, I started work on school discipline; particularly the disproportionality of out-of-school suspensions for African American students. At that point in time many educators were quite aware of the unbalance that exists when it comes to out-of-school suspensions, in-school suspensions, and school arrests. We know that black students as a group are more than three times as likely as white students to get suspended. We also know that research indicates that the causes are complex, but that the idea that worse behavior by black students is at fault is a myth. We also know that positive behavior intervention and restorative justice, when implemented with fidelity and accompanied by cultural responsiveness, greatly reduce negative outcomes. In other words, suspension for misbehavior (not including offenses that jeopardize safety) can be reduced if the school environment promotes a positive climate where conflicts can be resolved in a peaceful manner and students feel valued. However, what do we know about the differences in rates of discipline among black students? So began my investigation. In June of 2013 a couple of sociologists from Villanova University and the University of Iowa produced a paper entitled, “The Relationship Between Skin Tone and School Suspension for African Americans.” This paper has now been referenced by several authorities on the subject. In the paper, the sociologists set out to prove that just as biases between racial categories can lead to disproportionality in school discipline, so can biases based on the degree to which the student’s skin color matches that of the dominant group. Just as the biases can affect suspension, they can affect the quality of life for many African Americans. Through this study, the authors were not only able to study skin color as it relates to school discipline for African Americans as a group, but they also found significant differences as it pertains to skin tone for girls as compared to boys. The results of their study imply that darker skin tone increases the likelihood that young people will be suspended from school, particularly for African American girls. Thus, when studying school discipline for African Americans as it compares to other racial groups, it becomes equally important to study intra-racial differences. 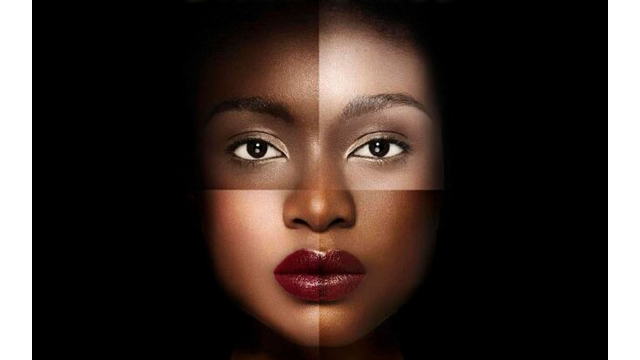 The factor of skin color comes under the umbrella of “colorism.” One of the earliest uses of this term came about when The Color Purple was published in 1983. The author, Alice Walker, describes colorism as “prejudicial or preferential treatment of same-race people based solely on their color.” Many of us recognize the history of this going back to slavery. However, have we explored this in the context of what we might be doing in our major institutions which prepare young people to go out into the world? Since whites are the majority of those who control our schools and who teach our children, there is colorism at play in our schools which does not involve black-on-black discrimination, but rather something institutional that we have not fully explored. This means that we cannot simply study issues of race when teaching and modeling for social justice in our schools. We must look at all of the hidden ways that we may be reinforcing a culture that says, “The closer you are to having white skin and features, the better you are, regardless of your racial category.” There exists plenty of data demonstrating the correlation between lighter skin and better education, jobs, and wealth. I challenge each of us to become more aware of this bias and explore whether or not we are reinforcing dangerous cultural attitudes as we work with all of our children of all colors. No, we do not want to make a child feel uncomfortable by singling him or her out. Rather, let us be more aware of the hidden perceptions that each of us may have which contribute to negative outcomes for certain groups, and particularly for children of color. Have you had an experience where you encountered colorism? How will you become more aware of this bias? Comment below. Hannon, L, and DeFina, R. (2013). The Relationship Between Skin Tone and School Suspension for Americans.Race and Social Problems, 5(4), 281-295. How can we improve discipline practices and cultural sensitivity in our schools? What do you see that is or is not working? Share your thoughts in the comments below, and on social media using #AmGradIndy. Carole S. Craig earned a Bachelor’s of Science Degree in Science Education from Ball State University and a Master’s of Science Degree in Science Education with certification in School Counseling and School Administration from Butler University. She served thirty-seven years as an educator with the Indianapolis Public Schools (IPS) as a teacher, counselor, dean, and secondary education director. 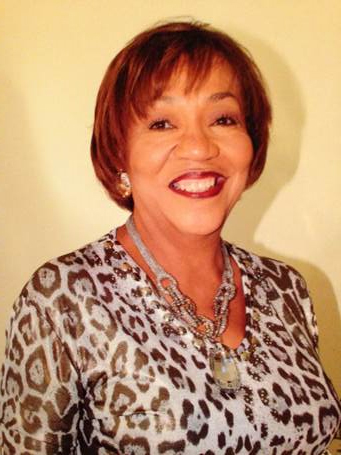 She has received many awards recognizing her contributions to education including the Excellence in Leadership Award from the Center for Leadership Development and she is a Golden Life member of the NAACP. Ms. Craig now consults northern Indiana school systems in the areas of school leadership, employee relations, and cultural competency.